WordPress is the best choice to get your well designed and decorated photography site. The main reason for WordPress popularity is its simple interface and limitless customization using themes, plugins or writing your own code. WordPress themes for photographers are available in abundance. Here you will find some of the amazing photography blogging WordPress themes. These are professional themes built for creative photographers and creative artists who are looking for gallery, full width slider based and grid themes. So you can have a look at the themes there. You might also want to take a look at our previous selections: Flat Logo Design Inspiration, Free IOS Friendly WordPress Themes, Free Gallery WordPress Plugins and WordPress Free Dropbox Widgets. WPVoyager is a Premium Travel Blog Theme for WordPress with a bold modern feel that warms the heart of the weary traveler step inside and see for yourself. Create brilliant pages simply with amazing shortcodes no coding required! WPVoyager is also optimized for latest WordPress utilizing the powerful new Theme Customizer which allows you to preview changes in real time. Bloggler is a classy and unique personal, photography, blog and portfolio WordPress Theme. 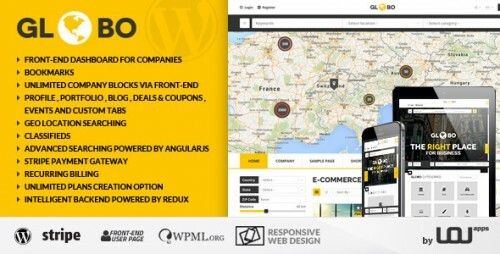 It is mobile responsive theme based on bootstrap 3.3.1 grid framework. Easy to use, with simple and powerful theme option. It features 4 different column layouts for blog page and portfolio page, link your social media profiles, set unlimited slideshow image background in homepage, post unlimited portfolio and more. tdJournal is a responsive and minimal WordPress Theme which is best suited for bloggers, freelancers, owners of nonprofit organization, photographers or creative agencies. 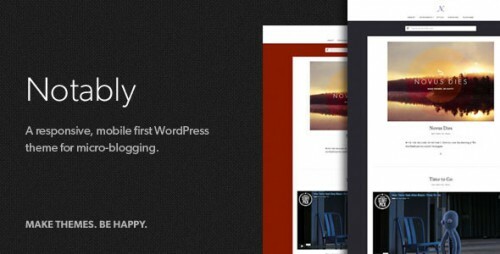 Notably is a mobile first, fully responsive, all around awesome WordPress theme for bloggers of all shapes and sizes. It’s straightforward, beautifully styled and you can make the theme your own by simply using the WordPress Theme Customize. Stream audio with our responsive, custom designed HTML5 media player. Insert images and galleries into your posts and pages and watch them adapt to your screen size. 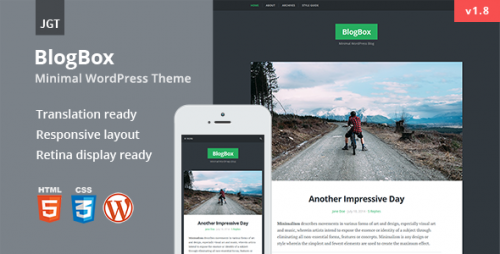 BlogBox is a minimal, bold, responsive and easy to use photoblog-style WordPress theme. Its a perfect fit for artists, photographers, or just creative people looking for a theme with clean design to share their photos, galleries, videos and articles. Responsive design adapts smoothly to different screen sizes, so your readers can access your blog from any device with a web browser. JRNY is lightweight and simple yet big and bold. JRNY can be used as a photoblog-style WordPress theme for sharing your thoughts, videos, articles or audio. 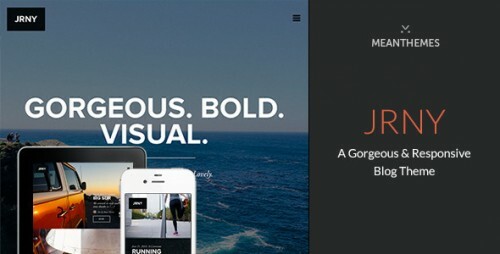 Of course, you could also use JRNY as a minimal portfolio to show off your latest work. By default, the theme shows full images and then reveals the titles and details on hover, you can change this via the Theme Customizer to always show the text. 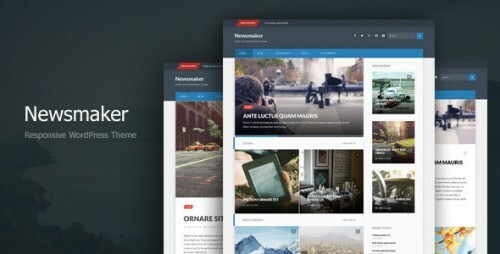 Newsmaker is a fully responsive, clean and elegant WordPress theme that is ideal for personal blogs, simple magazine-style sites or photoblogs. Theme comes with a great typography and focus on readability. Multiple Blog Layouts: One Column, Two Columns, Image Grid. Child Theme compatible (dummy child theme is already included). Social Media Icons in Header and Footer. 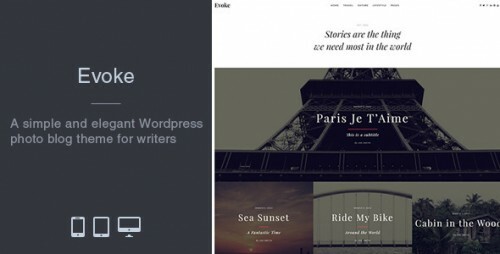 Evoke is a WordPress photo blog theme for writers and for those who like to share their stories in a simple and elegant way ( travellers, bloggers, photographers etc.). The theme has a clean and modern design, using all the browser screen space. It comes with a widgetized homepage and 7 layouts for displaying articles. Evoke is using the WordPress Theme Customize feature. Change site title, colors, logo, typography and more with just a few clicks, all with a real time preview. The Listing page includes a wide variety of options that gives rich content-driven facilities for members to promote their company this includes portfolio, blog, deals as well as custom tabs which allows including any kind of content using shorcodes. Hyperbule is perfect for your scrapbook of thoughts, photos, videos, audio, and more. It features a blog, portfolio (Jetpack), shop (Woocommerce), and is perfect for web agencies, digital studios, corporates, product showcases, personal and business portfolios. 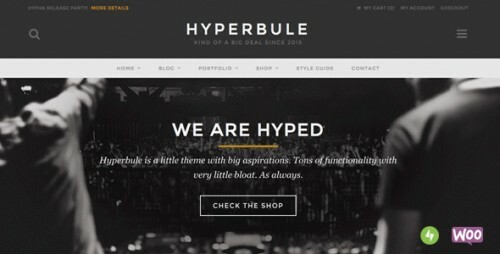 Hyperbule looks just as good on the go as it does on the desktop. Paradeigm is perfect for your scrapbook of thoughts, photos, videos, audio, and more. Featuring a clean responsive, masonry-style layout, Paradeigm looks just as good on the go as it does on the desktop. 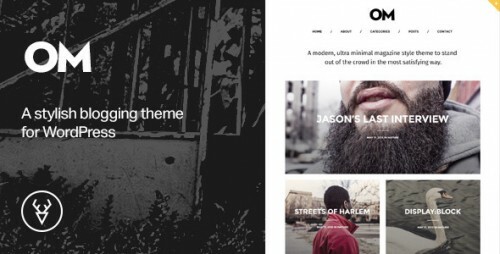 Om is a very professionally curated photoblogging and visual storytelling theme. 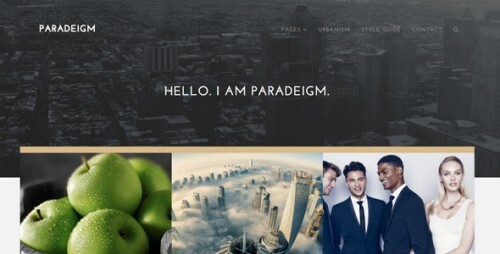 Om will make your site’s content look amazing with balanced typography, colors and the attention to details. You can customize Om with a variety of options, from default font color, typography (with Typekit integration) and font sizes.